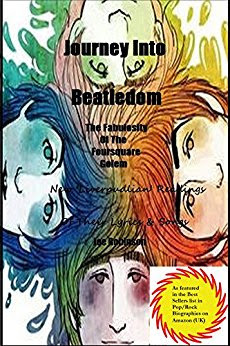 Beatles Audible Adventures, Books & Courses! Roll up for the mystery tour! 910 Public Relations has partnered with the Campfire Network to bring you "inside" the historic homes, gardens, and recording studios of John Lennon, George Harrison, and many other famous musicians and creative people. Get your VIP Membership at CampfireNetwork.com to experience 24/7 access to their site, which includes full-scale audio/visual tours, courses, and more. 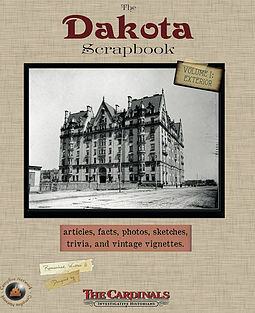 You choose the duration of your membership -- but anyone who signs up as a Quarterly or Annual VIP Member by October 31, 2016 will receive a FREE download of The Dakota Scrapbook by using promo code 910PR. That's a $10 value on top of the already FAB perks of being a Campfire Network member! 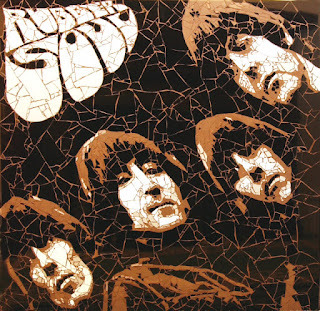 Ed Chapman is a top British mosaic artist with an instantly recognizable style. His work needs to be seen to be believed. The mosaics contain extremely fine detail, achieved through Ed's painstaking effort creating his subjects using hundreds of fragments of ceramic and stone tile, vitreous glass, torn paper or even sugar cubes. Ed creates intricate photo-realist ceramic portraits, often forcing the viewer to question if his mosaicsare, in fact paintings. Each work comprises many ceramic tile pieces, all cut and fastened by hand, and impressively finished. 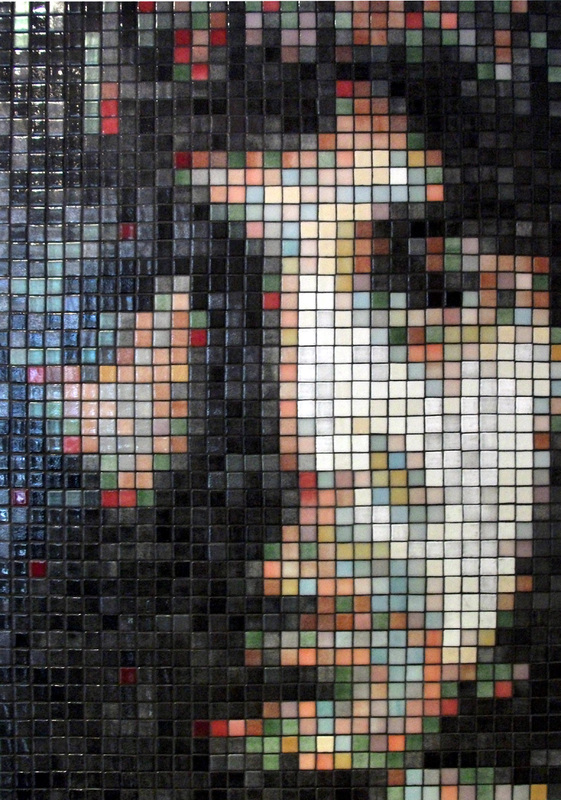 His mosaic work is bought by private clients and international organizations alike and his mosaics have been featured widely on TV and in magazines worldwide. He has undertaken commissions for Fender Music, the Sony Corporation, Hard Rock Cafe, Starbucks, The Gordon Ramsay Foundation, Manchester City FC, Cadbury’s, Cancer Research, UK Revolution Bars and more. 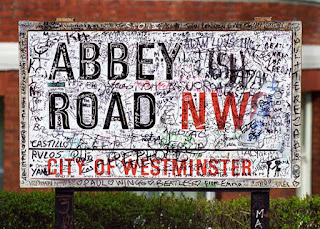 He was the only contemporary artist to have work at Cancer Research’s Abbey Road auction in 2009 with a mosaic of John Lennon. His mosaics have a number of high-profile collectors including foreign royalty and members of The Times' 'Rich List', musicians such as Annie Lennox, TV stars, England footballers, an Asian President's family - even the late, great Lemmy from Motorhead commissioned a portrait, as seen in the film Lemmy. Ed Chapman is available for private portrait commission, and can create personal mosaic portraits from life or photography. His work has appreciated in value significantly and he has gained widespread respect as a mosaic artist throughout the art world. He has exhibited throughout the UK and across Europe and the USA. University of Michigan summit celebrating the album to take place in June 2017. Reprinted with permission. Marti Edwards and Joe Carroccio, co-authors of 16 in ’64: The Beatles & The Baby Boomers, will be signing copies of their book at Zia Record Exchange in Mesa, Arizona on Saturday, October 22 at 2 p.m.
Edwards, a lifelong music fan, was the founder of the Chicagoland Beatle People Fan Club in the 1960s. She had the thrilling experience of meeting The Beatles in '64 and presenting them with an honorary plaque from her fan club. Wanting to share her story and photos from the event with other people, it was suggested she write a book. With the help of Carroccio, she did just that. More information is available on their website: 16in64.com. 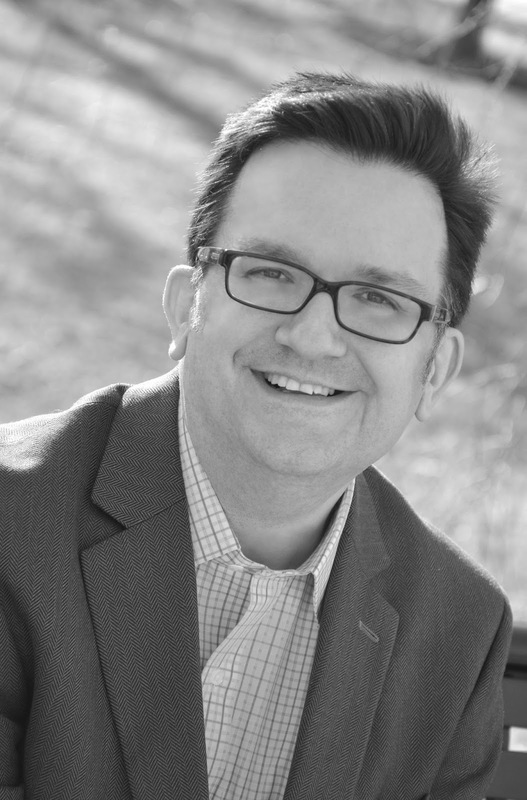 Kenneth Womack, PhD, an internationally renowned authority on the Beatles and their influence, is featured in the program for the Canberra Symphony Orchestra's 'Beatles in Symphony' performance on October 8, 2016. An excerpt from Reading the Beatles: Cultural Studies, Literary Criticism, and the Fab Four (edited by Kenneth Womack and Todd F. Davis) is included, as well as Womack's own 'Three Great Beatles Moments,' as seen below. Fans and critics alike often refer to Sgt. Pepper’s Lonely Hearts Club Band as popular music’s first ‘concept’ album. In truth, though, the Beatles’ notion of a fictitious ensemble peters out after ‘With a Little Help from My Friends,’ the album’s second track. The concept ‘doesn’t go anywhere,’ Lennon later remarked. ‘But it works ‘cause we said it works.’ Most significantly, Sgt. Pepper saw the Beatles erasing the boundaries that they had been challenging since Rubber Soul and Revolver. ‘Until this album, we’d never thought of taking the freedom to do something like Sgt. Pepper,’ McCartney observed. ‘We started to realize there weren’t as many barriers as we’d thought, we could break through with things like album covers, or invent another persona for the band.’ And with ‘A Day in the Life’—the album’s dramatic climax—the Beatles virtually re-imagined themselves as recording artists. Filled with variegated sonic hues and other assorted sound effects, the song contrasts Lennon’s impassive stories of disillusion and regret with McCartney’s deceptively buoyant interlude about the numbing effects of the workaday world. The song’s luminous, open-ended refrain—‘I’d love to turn you on’—promises a sense of interpersonal salvation on a universal scale. Yet Lennon and McCartney’s detached lyrics seem to suggest, via their nuances of resignation and unacknowledged guilt, that such a form of emotional release will always remain an unrealized dream. As the music of the Beatles and a studio orchestra spirals out of control and into oblivion, that thundering, massive piano chord punctuates and reverberates within the song’s unflinching melancholic ambiance. These nine tracks, from ‘Martha My Dear’ through ‘Julia,’ illustrate the White Album’s stunning eclecticism—the true measure of the album’s resilience. McCartney’s baroque-sounding ‘Martha My Dear,’ with its crisp brass accompaniment, meanders, rather lazily, into Lennon’s bluesy ‘I’m So Tired.’ Lennon later recalled the song as ‘one of my favorite tracks. I just like the sound of it, and I sing it well.’ Written during the Beatles’ famous visit to the Maharishi Mahesh Yogi’s retreat at Rishikesh during the spring of 1968, McCartney’s folksy ‘Blackbird’ imagines a contemplative metaphor for the civil rights struggles in the United States during the 1960s. The sound of a chirping blackbird lightly segues into Harrison’s uncomfortable but unforgettable political satire, ‘Piggies.’ The song cycle continues with McCartney’s countrified ‘Rocky Raccoon,’ a track that shifts, rather astonishingly, from the disquieting universe of cowboys, gunplay, and saloons into a gentle paean about nostalgia and loss. Ringo’s ‘Don’t Pass Me By,’ with its barrelhouse piano chorus, abruptly steers the sequence into the sudsy world of the beer hall. Originally entitled ‘Some Kind of Friendly,’ the song became a number-one hit—why not?—in Scandinavia. One of McCartney’s finest blues effusions, ‘Why Don’t We Do It in the Road?’ explodes from the embers of ‘Don’t Pass Me By’ and brilliantly sets the stage for the side’s final two numbers, ‘I Will’ and ‘Julia.’ A soothing melody about the tenuous argument between romance and commitment, ‘I Will’ remains one of McCartney’s most memorable experiments in brash sentimentality. Arguably his most powerful ballad, Lennon’s ‘Julia’ memorializes the songwriter’s late mother while simultaneously addressing his spiritual deliverance at the hands of ‘ocean child’ Yoko Ono, his newfound soul mate. Find more information on Kenneth Womack and his work at KennethWomack.com. It is also available on Kindle here. Beatles at the Ridge Promo Clip! What does Paul McCartney's "Take it Away" have to do with The Beatles?